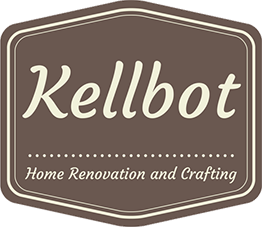 Fear of Commitment (to a kitchen) - Kellbot! | Kellbot! First thing’s first: I took my first trip to the dump last weekend! We dumped over 600 pounds of kitchen! It was an adventure, but not a very interesting one so you might have missed the blog post as I didn’t email it out. 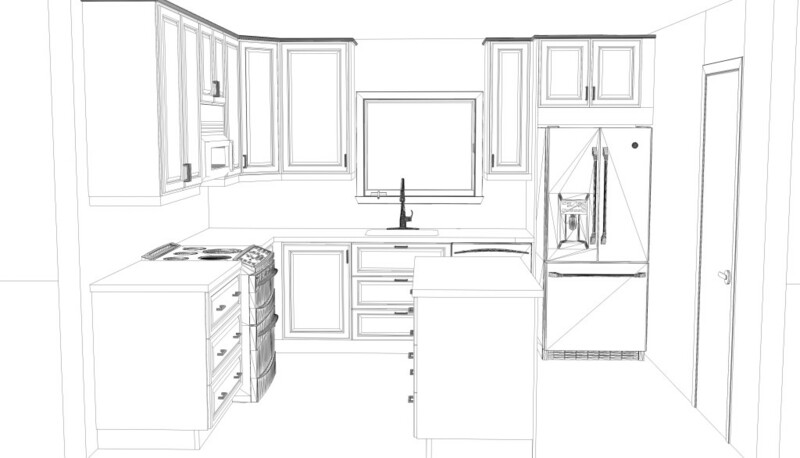 It’s nearly time to order the cabinets for the kitchen and I’m having trouble getting everything finalized. We got the latest revision from the designer and I’m nitpicking about a lot of little stuff (and a few medium sized things). I think I’m going to leave that area empty and experiment with little open shelves once it’s all in. Or just leave it open. Or remove the cabinet to the left of the window and put open shelves there to balance things out. Or slowly go insane due to the available options. The other thing I don’t like about the designer’s design is that there’s 6″ of space between the end of the cabinets and the wall. 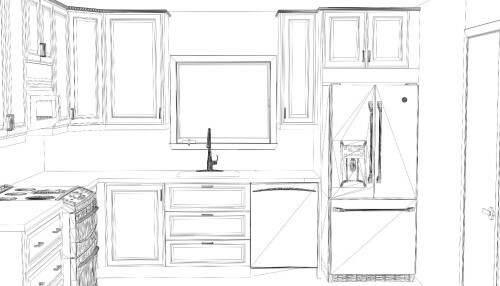 This is just due to the limits of Ikea cabinet sizes, but I found a YouTube video detailing how to cut cabinets down so I think I might make a little custom cabinet next to the oven for storing baking sheets. Then I’ll make a little open end shelf for the top so everything lines up. I’m also going to build a custom wine rack for over the fridge. A sketchup diagram of my mods. The island is missing from this diagram, partly because I didn’t feel like modeling it in SketchUp, but also because I’m afraid of committing to it. I suggested to Chris that we get a counter height table instead of building cabinets in. He pointed out that we probably would never actually need or want to move it and that I should just stop waffling about everything. I taped it out in the current kitchen and made sure there’s still room to get the washer/dryer back into the laundry room. There’s an exterior door in the laundry room but it would be super annoying to have to take everything out and then back in because the island is in the way. I think it will be an awesome island? I have a long while to think about things before we actually install the cabinets, because there are about 800 steps that come first, but they need to be ordered in the next couple of weeks in order to take advantage of the Ikea kitchen sale. 20% off of $4000 of cabinets (oh my god) is huge. The list of to-dos for the house is kind of overwhelming. I put it all in Trello to try and make sense of it all but it honestly just seems more insane now. Everything in the kitchen is blocked by needing to remove the hot water heater and fix the rotted flooring under it. Family members have volunteered to help make this happen, but with a few family events the next few weekends I’m not sure when we’ll all be down there next. In the meantime I’ll work on painting the bedrooms, and removing the awful parquet flooring that I have discovered is just stick-on vinyl. The contractors are hard at work, at least. The electrician came down on Tuesday to do the wiring for the kitchen, and the structural guys are working in the crawlspace to get everything shored up and dried out. The gas company came and planted little flags in the yard marking where the gas line is going to go. In 6-8 weeks we should have gas service. But yeah feeling kind of overwhelmed at the moment. I like your changes around the window. It looked like the cabinets were trying to take over the window. 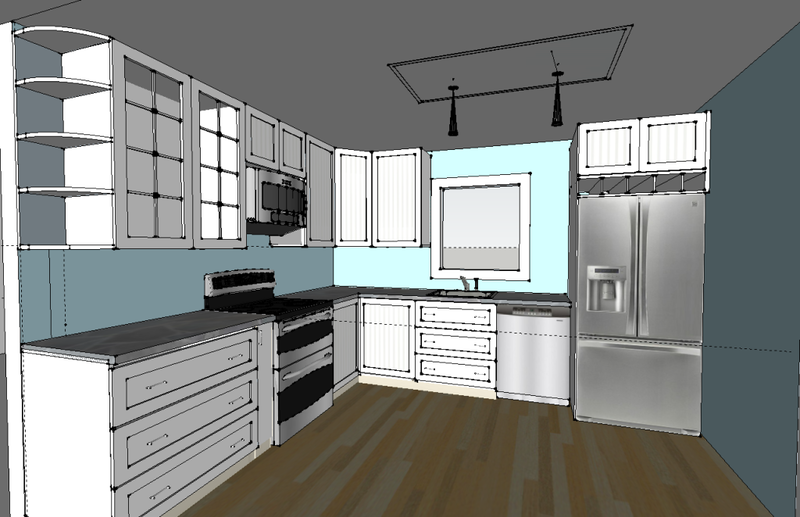 The island will be nice prep space.